Avonpark House B&B Stratford-upon-Avon. Only 15 minutes from this top UK attraction. 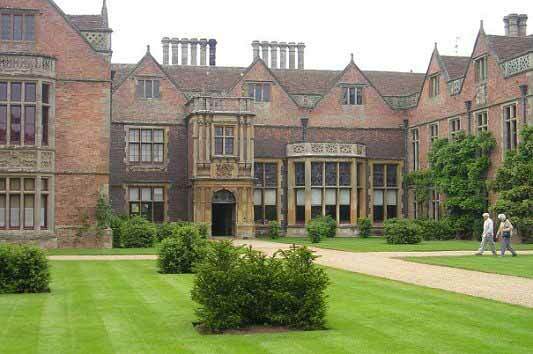 It is convenient and comfortable accommodation, from which to explore Shakespeare Country and the Heart of England. Historic Stratford is famous as the birthplace of William Shakespeare, the worlds best known playwright, but nearby is the magnificent Warwick Castle, home to the Earls of Warwick, some of the most powerful men in England for centuries. "The Kingmakers". Allow half a day for your visit to this Medieaval fortress. 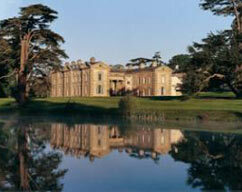 We provide 50% discounted entrance vouchers at our B&B. Thinks to see and do. Ann Hathaway's Cottage. The cottage was the childhood home of Shakespeare's wife, Anne, the daughter of a yeoman farmer, Richard Hathaway. Mary Arden's House. This magnificent, thatched and timber-framed, Tudor farmstead was the childhood home of Mary Arden, mother of William Shakespeare. Mary Arden was the youngest of eight daughters of Robert Arden, an affluent Warwickshire husbandman. The Arden family had a notable family pedigree, with probable links to Walter Arden of Park Hall and esteemed ancestors stretching as far back as Saxon times. The farmhouse is situated in the beautiful green-field setting of Wilmcote, a village 3 miles north-west of Stratford. The Almshouses, 16th century. 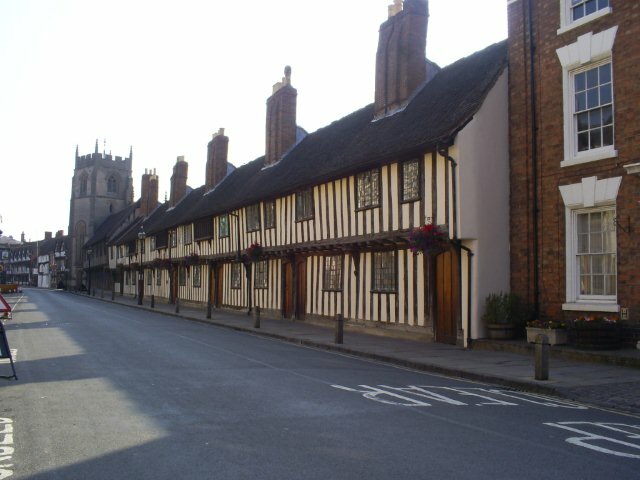 Next to King Edward VI grammar school are a row of beautiful 16th century timbered almshouses, provided by the Guild of the Holy Cross for the poor of the town. Harvard House. Harvard House was the home of Katherine Rogers, mother of John Harvard, whose bequest made possible the foundation of Harvard University. Built in 1596 it is a fine example of an Elizabethan town house. The American Fountain. The American Fountain - This large Gothic clock tower once had a built-in fountain now given over to flower planting. It was presented to the town of Stratford-upon-Avon by George W. Childs of Philadelphia to mark Queen Victoria's Golden Jubilee in 1897. Actor Henry Irving carried out the unveiling. You will see not only American Eagles but also English Lions and a fairy from A Midsummer Night's Dream as part of the stonework. Compton Verney Art Gallery. A Grade-1 listed mansion house designed by Robert Adam in the 1760s, Compton Verney is set in more than 120 acres of classical parkland landscaped by Lancelot 'Capability' Brown. Stratford Races. Steeplechasing since 1755. Races throughout the year. Or make us your stay for Cheltenham Races week. The Windmill Arms. The Windmill Inn, at over 350 years old, is one of Stratford-upon-Avons oldest drinking establishments. A characterful and charming little pub, it offers respite after a hard days sightseeing, with cask ales and a good selection of bar meals. Charlecote Park. The Lucy Family came to England with William the Conqueror. They have owned the land since 1247AD, and the present house was built in 1558AD. 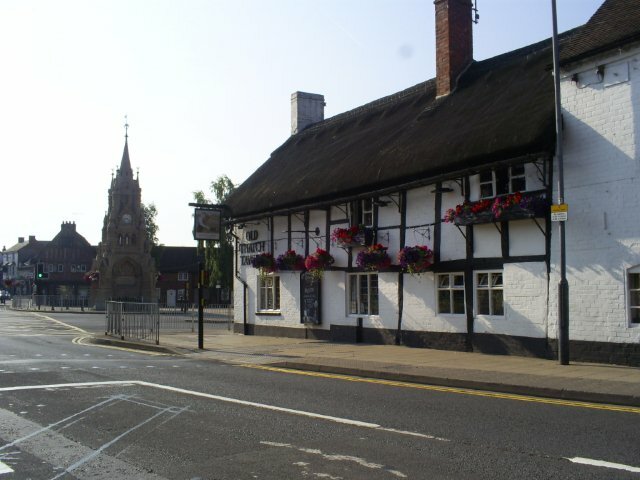 The Old Thatch tavern. The Old Thatch tavern, 23 Greenhill Street, opposite the American Fountain.This is reputedly the second oldest pub in Stratford. A rambling and idiosyncratic thatched / timbered inn. It serves a good selection of cask ales. The Garrick Inn. 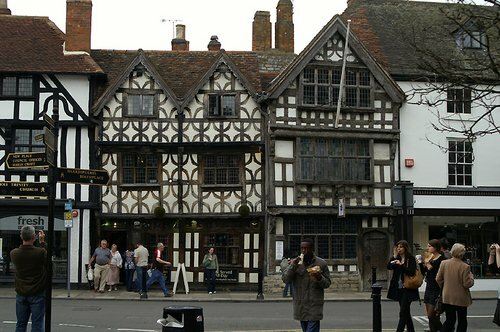 Situated on the main High Street in Stratford the Garrick Inn is a traditional black and white pub which dates back to the 14th Century.Next door to Harvard House at 25 The High Street. It received its current name in 1769 in recognition of the famous Shakesperian actor David Garrick. He arranged the first Shakespeare's birthday celebrations in that year. It is a charming pub with a good selection of cask ales. Refurbished in 2005, inside there is an olde worlde feel to the place with original beams and wood features. There is a small bar room, with a TV, another bar and a dining area. 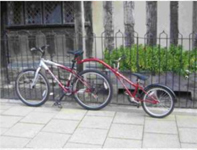 Stratford Bike Hire is a family run cycle hire business interested in developing sustainable leisure and tourist transport in Warwickshire.Why not see around Stratford by bike. They will deliver to the door of the Guest House. Their equipment consists of well maintained and serviced top quality mountain bikes and hybrid touring bicycles which are the perfect bikes for family touring. 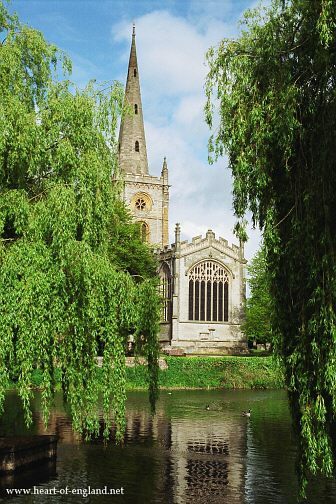 Warwickshire and the nearby >Cotswolds have a wealth of history going back hundreds of years, enough to satisfy the appetite of even the most ardent historian.